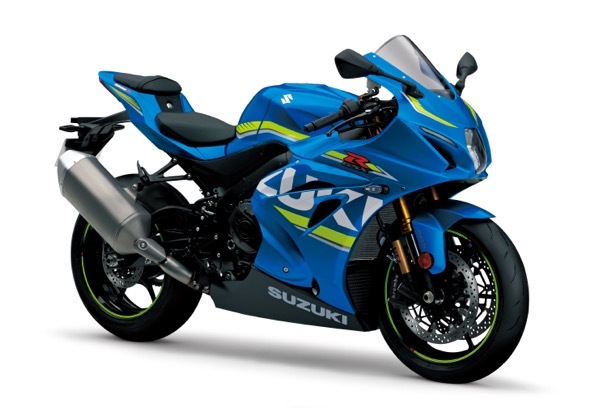 SUZUKI hasn’t just built a new GSX-R1000, it’s built the limited-edition race-focussed GSX-R1000R, too. The differences between the models relate to track times – quick shifter, different suspension, launch control: but both machines are built around the same all-new platform. Both new GSX-R1000 models feature the electronics, performance and design to compete head-to-head with the best from Japan and Europe. The 59-page press kit is littered with updates, changes and innovations, but it’s all aimed at one thing: Suzuki wants you to “Own the Racetrack”. Although there’s heritage there, the design is new, with 600 new parts and components. It’s the most compact and aerodynamic GSX-R1000 ever. It’s also the most powerful GSX-R motor ever built, with a blistering top-end without sacrificing bottom-end or mid-range. Some of the technology has come from MotoGP, and even the engine design has been tweaked for improved cornering. The new bike now makes over 200 horsepower with a redline at 14,500. 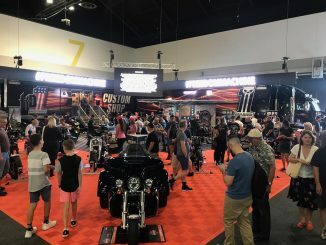 Compression is up to 13.2:1, which probably wouldn’t work very well except the bike uses a ride-by-wire throttle and has new, advanced electronics and variable valve timing. By using a centrifugally-operated system which to retard the intake valve timing at a pre-set rpm, Suzuki’s system is lightweight, simple and seamless. As revs rise steel balls on slanted groves rotate the intake valve sprocket, giving stepless variable valve timing. Suzuki investigated using a non-standard firing order, but stayed with the conventional design. The electronics in the new GSX-R are comprehensive. There are the latest in traction control and ABS, Suzuki Easy Start System, Low RPM Assist and lots more, especially on the 1000R model. The instrumentation is now LCD, with lots more information than on the outgoing model, an LED headlight, taillight and indicators and re-shaped fairing.